To truly enjoy a vacation, one must first work. 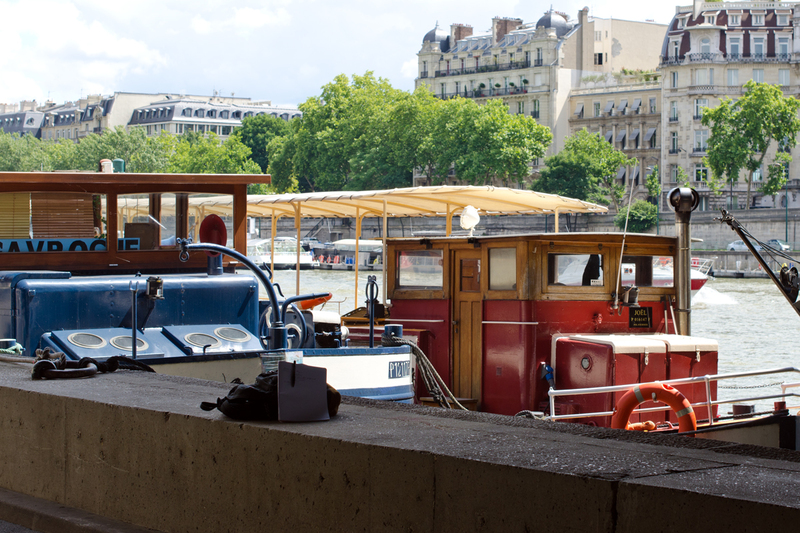 Then a leisurely stroll along the river in Paris is a welcome respite from the toil and labor of writing in your favorite restaurant on the Rue de Popincourt–well, almost. I wouldn’t say that my writing this morning is toilsome, but my endeavors are productive and I finish another chapter of my current draft. I reach my daily goal of a thousand words and set off on my daily walk, unsure of where the cobblestones might take me, but certain a welcome destination awaits me at the end. The Seine is an easy mile from my apartment as the crow flies, but more like three miles considering I prefer to zig zag through the smaller streets instead of walking the broader boulevards. I use the compass on my phone to keep me heading generally south south-west knowing the river will eventually greet me. When it does, I am surprised to find I am more west than I thought and see the Louvre rising up before me. So I pay my respects to the pyramids and sit on the grass a while near the Arc de Triomph du Carrousel before crossing the river to circle the Musee d’Orsay. I check the museum hours as it is closed today and see that it is open late on Thursdays. The Impressionists at night sounds like a grand idea. I make a mental note. 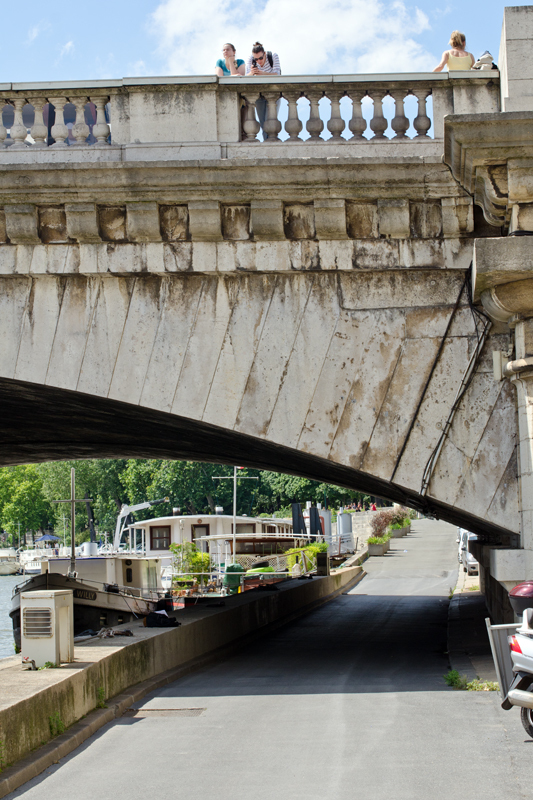 Continuing my walk, I descend the steps to the riverfront passage that runs along the river Seine. 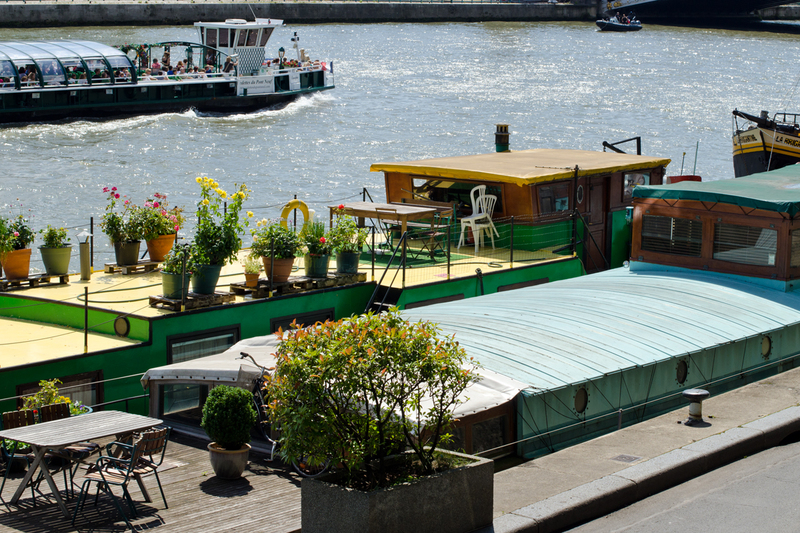 Houseboats line the walkway and I send my best bonjour to the inhabitants and smile when the dogs who have been barking at the other passersby tilt their head and smile at me. Even French dogs know a dog person! 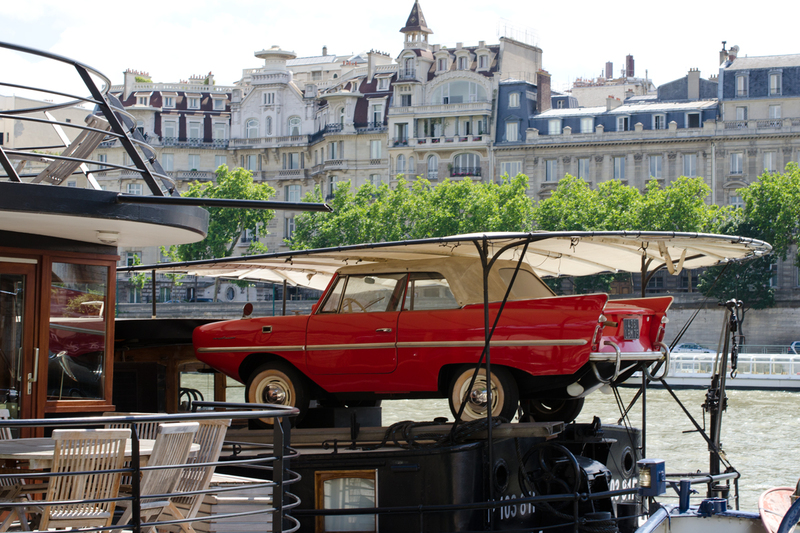 One houseboat has a tiny classic car resting on the stern, and I wonder when it was last driven. 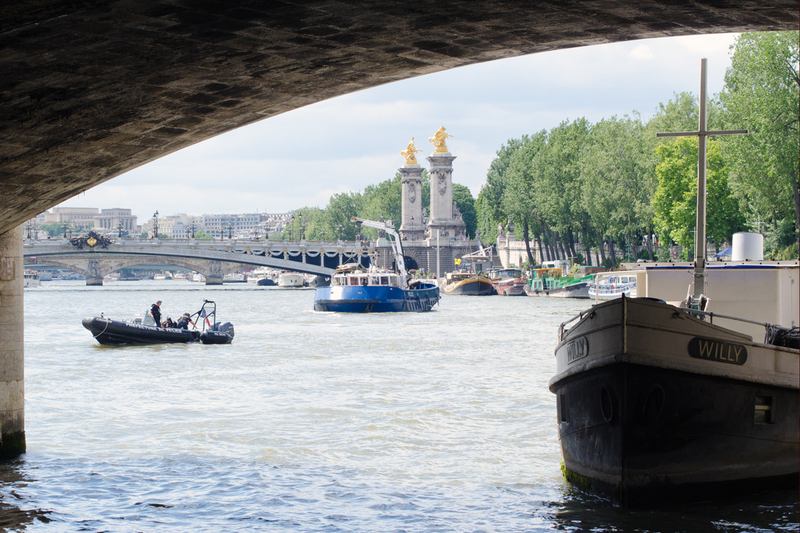 Inspiration flows as easy as the river in Paris. I find a nice spot under a bridge and outline my next chapter. I couldn’t know how exciting this bridge would be. 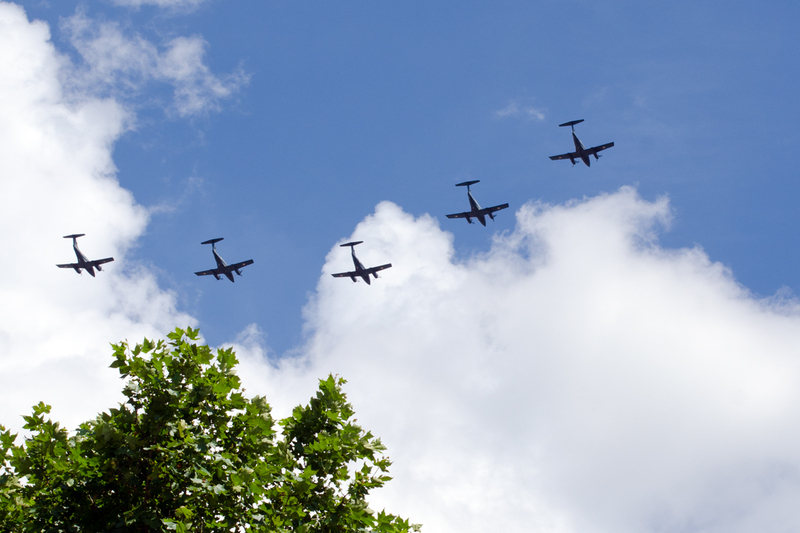 France will be celebrating Bastille Day on July 14 with a traditional parade that is very patriotic in a militaristic way- soldiers, tanks, and as I discovered to be true today, the air force. 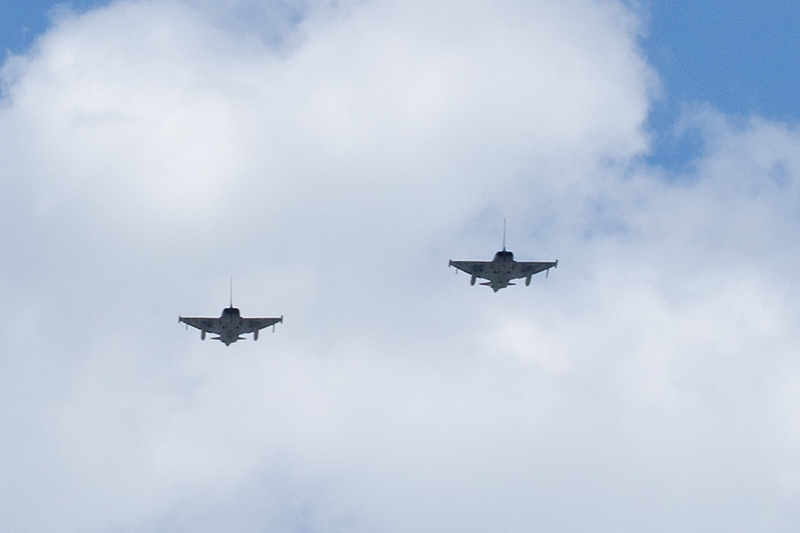 I can hear from beneath the bridge the unmistakable thunder of a jet rattling the very stones above me. A minute later there is another. Then another. 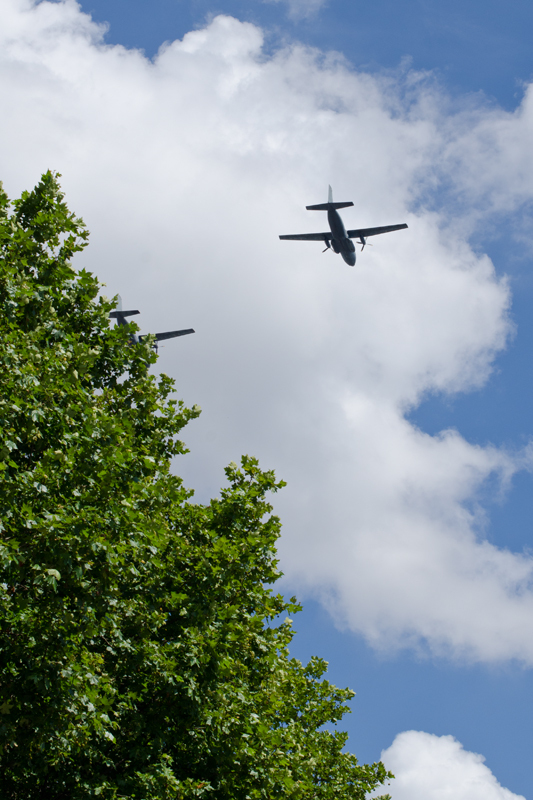 Through the trees I can see the planes to accompany the parade- jets, props, massive bombers, even a row of helicopters. But this is not all. A police boat moves up and down the river and begins circling just on the other side of my bridge. Then a diver falls backwards into the water. Within the hour, a larger ship appears with a crane from which dangles a giant hook the diver takes below to, can you believe, a car! 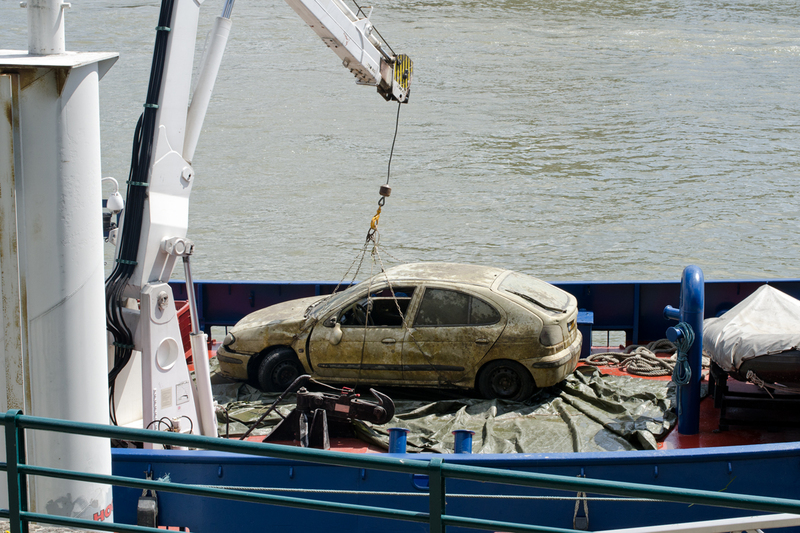 The crane hoists la voiture from its watery grave and lowers it onto the deck. 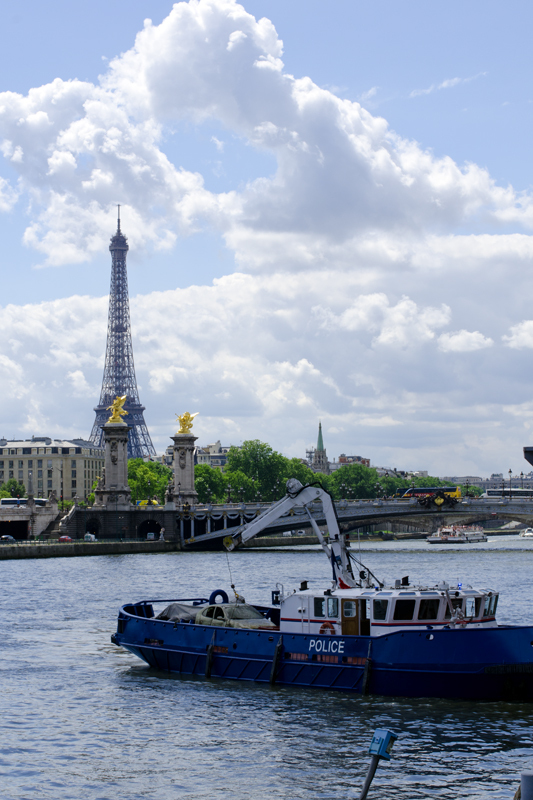 Try the Champs du Mars near the Eiffel Tower on July 14. The incomparable fireworks draw lots of crowds.